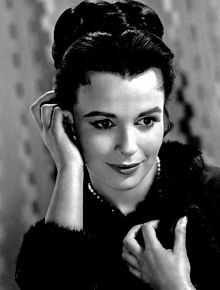 Patricia Claire Blume, CBE (born 15 February 1931), better known by her stage name Claire Bloom, is an English film and stage actress whose career has spanned over six decades. She is known for leading roles in plays such as A Streetcar Named Desire, A Doll's House, and Long Day's Journey into Night, and has starred in nearly sixty films. After a childhood in England and the US, Bloom studied drama. She debuted on the London stage when she was sixteen and soon took roles in various Shakespeare plays. 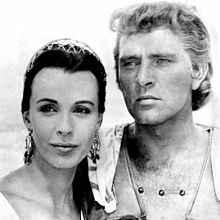 They included Hamlet, in which she played Ophelia alongside Richard Burton. For her Juliet in Romeo and Juliet, critic Kenneth Tynan stated it was "the best Juliet I've ever seen". After she starred as Blanche DuBois in A Streetcar Named Desire, its playwright, Tennessee Williams, stated, "I declare myself absolutely wild about Claire Bloom". In 1952, Bloom was discovered by Hollywood film star Charlie Chaplin to co-star alongside him in Limelight. During her film career, she starred alongside numerous major actors, including Richard Burton, Laurence Olivier, John Gielgud, Paul Scofield, Ralph Richardson, Yul Brynner, George C. Scott, James Mason, Paul Newman and Rod Steiger. In 2010, Bloom played the role of Queen Mary in the British film, The King's Speech. She was appointed Commander of the Order of the British Empire (CBE) in the 2013 Birthday Honours for services to drama. Bloom attended secondary school at the independent Badminton School in Bristol. She studied stage acting as an adolescent at the Guildhall School of Music and Drama, London, and continued her studies under Elsie Fogerty at the Central School of Speech and Drama, then based in the Royal Albert Hall, London. Bloom's brother is film editor John Bloom. After training at the Guildhall School of Music & Drama and the Central School of Speech and Drama, Bloom made her debut on BBC radio programmes. She made her stage debut in 1946 when she was 15 with the Oxford Repertory Theatre. When asked about Bloom years later, Scofield recalled, "Sixteen years old I think—so very young and necessarily inexperienced, she looked lovely, she acted with a daunting assurance which belied entirely her inexperience of almost timid reticence. She was a very good Ophelia." In a 2002 interview with Michael Shelden, Bloom said of Burton, "He had it all: intelligence, physical beauty, an incredible voice. There was no one else like him. When we were at the Old Vic, he proved that a working-class actor could make it, and I was proud of him. I thought he set a great example in a society that was, and still is, so preoccupied with class and accent." Bloom has appeared in a number of plays and theatrical works in both London and New York. Those works include Look Back in Anger, Rashomon, and Bloom's favourite role, that of Blanche DuBois, in a revival of the Tennessee Williams play, 'Duel of Angels'(by Jean Giraudoux) costarring with Vivien Leigh in 1958, A Streetcar Named Desire, which played in London in 1974. Critic Clive Barnes described the play as a "notable example of what the classic revival should be – well groomed, but thoughtful, expressive, illuminating." Another critic writes that Bloom's portrayal of Blanche featured "remarkable layers of vitality and tenderness", and playwright Williams stated, "I declare myself absolutely wild about Claire Bloom." Bloom has also performed in a one-woman show that included monologues from several of her stage performances. She also starred in the 1976 Broadway revival of The Innocents. Bloom's first film role was in the 1948 film The Blind Goddess. She trained at the Rank Organisation's charm school but did not stay with that company for long. Her international screen debut came in the 1952 film Limelight, when she was chosen by Charlie Chaplin, who also directed, to co-star alongside him. The film catapulted Bloom to stardom, and remains one of her most memorable roles. Biographer Dan Kamin states that Limelight is a similar story to Chaplin's City Lights, made twenty years earlier, in which Chaplin also helps a heroine overcome a physical handicap. In this film, Bloom plays a suicidal ballerina who "suffers from hysterical paralysis". In casting the girl's part I wanted the impossible: beauty, talent, and a great emotional range. After months of searching and testing with disappointing results, I eventually had the good fortune to sign up Claire Bloom, who was recommended by my friend Arthur Laurents. She was subsequently featured in a number of "costume" roles in films such as Alexander the Great (1956), The Brothers Karamazov (1958), The Buccaneer (1958), and The Wonderful World of the Brothers Grimm (1962). Bloom also appeared in Laurence Olivier's film version of Richard III (1955), in which she played Lady Anne, Ibsen's A Doll's House (1973) for which she won Best Actress award at Taormina International Film Festival, The Outrage (1964) with Paul Newman and Laurence Harvey, as well as the films Look Back in Anger (1959) and The Spy Who Came in from the Cold (1965), both with Richard Burton. Of Bloom's character in Spy, novelist David Plante writes that "Claire's refined beauty appears to be one with the refinement of a culture she represents as an actress." In the 1960s she began to play more contemporary roles, including an unhinged housewife in The Chapman Report, a psychologist opposite Cliff Robertson's Oscar-winning role in Charly, and Theodora in The Haunting. She also appeared in the Woody Allen films Crimes and Misdemeanors (1989) and Mighty Aphrodite (1995). She played Hera in Clash of the Titans. Laurence Olivier played Zeus, her husband; she had also played his wife, Queen Anne in Richard III (1955). Her most recent appearances in films were her portrayal of Queen Mary in the 2010 Oscar winning British film The King's Speech and her portrayal of Eva Rose opposite Jerry Lewis in the 2016 film Max Rose. Other work includes two prominent BBC Television productions for director Rudolph Cartier: co-starring with Sean Connery in Anna Karenina (1961), and playing Cathy in Wuthering Heights with Keith Michell as Heathcliff (1962). She also appeared as First Lady Edith Wilson in Backstairs at the White House (1979); as Joy Gresham, the wife of C.S. Lewis in Shadowlands for which she received the BAFTA Award as Best Actress (1985); as Marina Gregg in The Mirror Crack'd from Side to Side, the last of the BBC Miss Marple adaptations in 1992; and as the older Sophy in the serial The Camomile Lawn (1992) on Britain's Channel 4. Her most recent appearance in a mini-series was in the 2006 version of The Ten Commandments. On continuing television series, she has appeared on the New York-based Law & Order: Criminal Intent. From 1994 to 1995, she portrayed villainess Orlena Grimaldi on the daytime drama As the World Turns. She also had major roles in several of the BBC-Shakespeare Play television presentations and has led workshops on Shakespearean performance practices. In 2003, Bloom did a stage reading of Milton's Samson Agonistes along with actor John Neville at Bryn Mawr College at the behest of poet Karl Kirchwey. In January 2006, she appeared on the London stage in Arthur Allan Seidelman's production of Six Dance Lessons in Six Weeks by Richard Alfieri, a two-hander in which she co-starred with Billy Zane. In October 2007, she appeared opposite Peter Bowles in Love Letters at the Théâtre Princesse Grace, Monte Carlo, directed by Marc Sinden, as part of his British Theatre Season, Monaco. In 2008, she guest starred in New Tricks as actress Helen Brownlow. The story concerned the murder of Brownlow's husband whilst they were in a play together. In December 2009 and January 2010, she appeared in the two-part Doctor Who story The End of Time as a mysterious Time Lord credited only as "The Woman". Series executive producer Russell T. Davies revealed in his 2010 book The Writer's Tale that the character is supposed to be the Doctor's mother. In 2010, she guest starred as Jill Peters in The Bill in the episode "Taking a Stand", and in 2011 she played Queen Mary in The King's Speech. In September 2012, she appeared in concert at the Joseph Meyerhoff Symphony Hall, Baltimore, Maryland, as the narrator in a performance of Leonard Bernstein's Kaddish, with the Baltimore Symphony Orchestra conducted by Marin Alsop. In 2013, Bloom appeared in the sixth series of ITV's Doc Martin as the estranged mother of the title character. In 2015 she appeared as Matilda Stowe in ITV's Midsomer Murders episode 17.4, "A Vintage Murder". Bloom has married three times. Her first marriage, in 1959, was to actor Rod Steiger, whom she had met when they both performed in the play Rashomon. Their daughter is opera singer Anna Steiger. Steiger and Bloom divorced in 1969. In that same year, Bloom married producer Hillard Elkins. The marriage lasted three years and the couple divorced in 1972. Bloom's third marriage on 29 April 1990, was to writer Philip Roth, her longtime companion. They separated in 1994. Bloom has written two memoirs about her life and career. The first, Limelight and After: The Education of an Actress, was published in 1982 and was an in-depth look at her career and the film and stage roles she had portrayed. Her second book, Leaving a Doll's House: A Memoir, published in 1996, went into greater details about her personal life; she discussed not only her marriages but also her affairs with Richard Burton, Laurence Olivier, and Yul Brynner. The book created a stir when Bloom described her former marriage to Roth. Soon after, Roth wrote a "revenge novel" I Married a Communist (1998), in which the character of Eve Frame appeared to represent Bloom. Bloom was appointed a Commander of the Order of the British Empire (CBE) in the 2013 Birthday Honours for services to drama. ^ "Claire Bloom Biography (1931–)". Film Reference. Advameg. Retrieved 26 May 2015. ^ a b c Bloom, Claire (April 1998). Leaving a Doll's House: A Memoir. Back Bay Books. ISBN 978-0316093835. ^ Bloom, Nate (21 January 2011). "Jewish Stars 1/21". Cleveland Jewish News. ^ a b c Bloom, Claire (1982). Limelight and After: The Education of an Actress. HarperCollins. ISBN 978-0060149260. ^ O'Connor, Garry (2002). Paul Scofield: An Actor for All Seasons. Applause Books. p. 76. ISBN 978-1557834997. ^ a b Munn, Michael (2008). Richard Burton: Prince of Players. Skyhorse Publishing. ISBN 978-1602393554. ^ https://www.telegraph.co.uk/culture/4727506/Theres-more-to-life-than-men.html. Retrieved 1 July 2017. ^ a b Kolin, Philip C. (2000). Williams: A Streetcar Named Desire. Cambridge University Press. p. 97. ISBN 9780521626101. Retrieved 26 May 2015. ^ a b c d e f g Thornton, Michael (14 May 2009). "She's seduced a galaxy of stars, now she has an out-of-this-world role... as Doctor Who's mum". Retrieved 26 May 2015. ^ a b Kamin, Dan (2011). The Comedy of Charlie Chaplin: Artistry in Motion. Forward by Scott Eyman. Scarecrow Press. pp. 94, 191. ISBN 978-0810877801. ^ Kohn, Ingeborg (2005). Charlie Chaplin, Brightest star of silent films. Portaparole. p. 76. ISBN 9788889421147. Retrieved 26 May 2015. ^ Claire Bloom talks about 'Limelight' and Charlie Chaplin (Video). YouTube. 9 October 2012. Retrieved 26 May 2015. ^ Tony Earnshaw in conversation with Claire Bloom (Video). YouTube. 25 March 2011. Retrieved 26 May 2015. ^ a b c d e Fujishima, Kenji (25 May 2011). "Charlie Chaplin Is the Father Claire Bloom Never Had". Speakeasy. The Wall Street Journal. Retrieved 28 May 2015. ^ Chaplin, Charles (1964). Charles Chaplin: My Autobiography. Simon & Schuster. p. 458. ISBN 9780140025507. ^ Plante, David (2013). Becoming a Londoner: A Diary. Bloomsbury Publishing. p. 491. ISBN 978-1408839751. ^ "Lost BBC period drama of Anna Karenina found starring Sean Connery". TV and Radio. The Daily Telegraph. 17 August 2010. Retrieved 28 May 2015. ^ Wake, Oliver. "Cartier, Rudolph (1904–1994)". Screenonline. British Film Institute. Retrieved 26 May 2015. ^ Heller, Karen (1 May 2003). "Bryn Mawr shows creative side as it makes way for arts". Chicago Tribune. Retrieved 26 May 2015. ^ Billington, Michael (2 December 2006). "Six Dance Lessons in Six Weeks". The Guardian. Retrieved 29 September 2016. ^ BERNSTEIN, L.: Symphony No. 3, "Kaddish"
^ Grant, Linda (3 October 1998). "The Wrath of Roth". Books. The Guardian. Retrieved 26 May 2015. ^ Thackray, Rachelle (11 October 1998). "Roth takes novel revenge on ex-wife Claire Bloom". The Independent. Retrieved 26 May 2015. ^ "No. 60534". The London Gazette (Supplement). 15 June 2013. p. 7. ^ "Birthday Honours: Adele joins Blackadder stars on list". BBC. 14 June 2013. Retrieved 26 May 2015. Claire Bloom discusses her career on YouTube while receiving a Lifetime Acting Award at the Fort Lauderdale International Film Festival, 2010, video 9 min.